Recently I came back from an 11 day journey to Nairobi in Kenya. Our organization Play Without Borders were a part of the street festival Kochfest15 – Celebrating 7 days of street democracy – in the slum area Korogoch, in Nairobi, Kenya. During six days me and my team were creating different Play Interventions together with groups of children at an elementary schoolyard in Korogocho. The idea was that with materials found in the are we were going to work together with the children to create new, or enhance existing, play structures. By doing this we are involving children in the descision making process, and create a feeling of responsibility and proud, and an increase sense of participation in their own spaces. 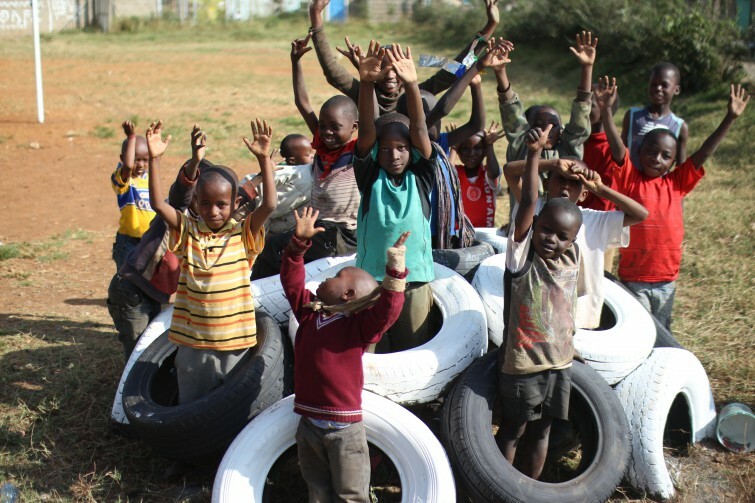 During the six days we worked with used car tires, pallets and paint to create a bigger and more active playground and schoolyard. During the project we collaborated with Hoperaisers Korogocho, Architects without borders and Slum architects Nairobi. After the project as such was done we also went to the beautiful Lake Naivasha, and bicycled among zebras and warthogs among other things. An amazing place! See more pictures at the project page.